Down syndrome is a genetic condition affecting more than 13,000 Australians. It is the most common chromosome disorder and intellectual disability. Each of the cells in our bodies contain 46 chromosomes but people with Down syndrome have 47 in each cell. The extra chromosome 21 develops at conception and can be tested before and confirmed after birth via a blood test. It is unknown why the extra chromosome is created in the body and what causes it. There is no cure for Down syndrome. People with Down syndrome have characteristic physical features, some level of intellectual disability and challenges in health and development. They may require speech therapy to help develop speech and language skills, education support, employment support and the support of paediatricians, physiotherapists, occupational therapists and psychologists. Many people with Down syndrome don’t have other health problems but some of the health conditions found commonly in people with Down syndrome are heart problems, and issues with vision and hearing. Every person is unique and with Down syndrome there are varying levels. Some people may require more support than others to live an ordinary life. With the right support network, early intervention and regular health checks, your child can live their best life within their community. The National Disability Insurance Scheme (NDIS) can help you and your child access supports and services such as early intervention and education support within your community, to help them reach their full potential. Does your child have Down syndrome? As Down syndrome occurs at conception, there are some tests during pregnancy to find out whether your baby has the genetic condition. It’s important to know these tests don’t give a definitive answer but rather they tell you how likely it is that your baby has Down syndrome. 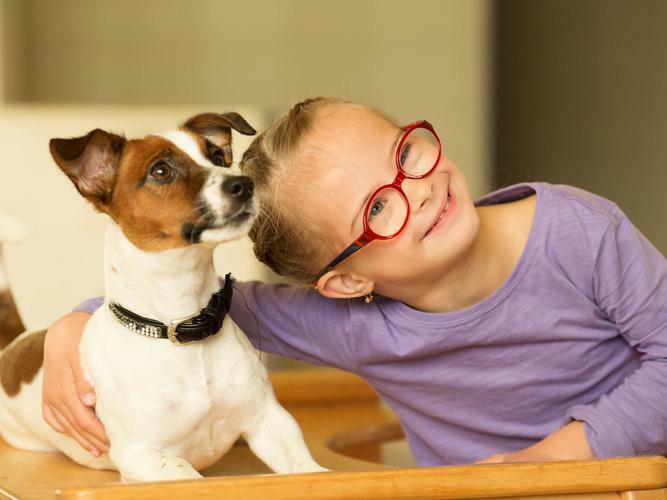 Diagnostic tests, such as chorionic villus sampling (CVS) or amniocentesis can give you an accurate answer as to whether your baby has Down syndrome, however, these tests have some risks. Speak to your doctor or midwife about diagnostic tests, your pregnancy and the risks involved. After birth, your doctor will confirm if your child has Down syndrome based on a number of key physical characteristics and a blood test. If your child has been diagnosed with Down syndrome, it’s time to speak to a paediatrician or your doctor to get the ball rolling on early intervention. They can answer any questions you have and provide you with a number of valuable resources and information. You can also call helpful State and Territory-based Down syndrome organisations to ask questions and discuss how to best support your child. Parent support groups or online forums are a great way to connect with people in similar situations and learn from their experiences. Down syndrome organisations can suggest support groups or forums in your local area. Use our search bar to find organisations in your local area that can offer supports and services for your family. If you met the eligibility requirements, you may be able to receive early intervention and other supports and services through the National Disability Insurance Scheme (NDIS). For more information on the NDIS, click here. It is important to remember, the love and support you give your child now will set them up for a bright and happy future.